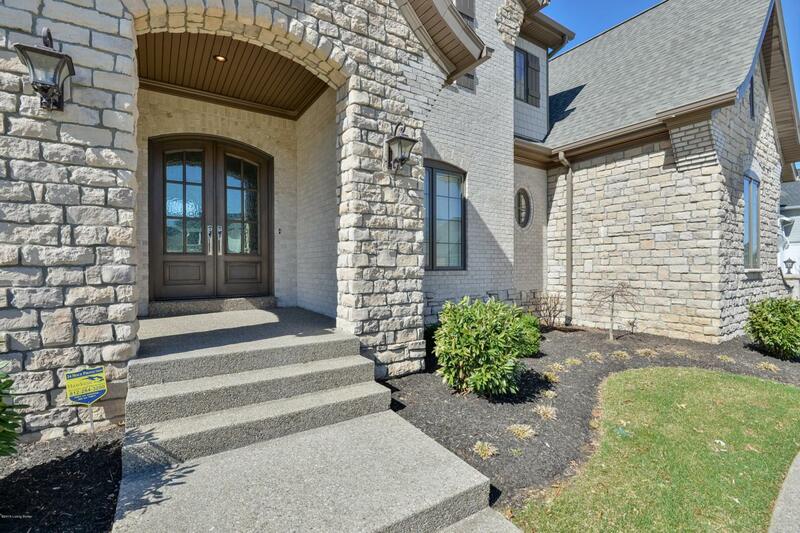 Situated in one of Louisville's most exclusive neighborhoods, this stunning custom-built home offers the perfect blend of timeless design and modern style, every aspect carefully planned and beautifully executed. 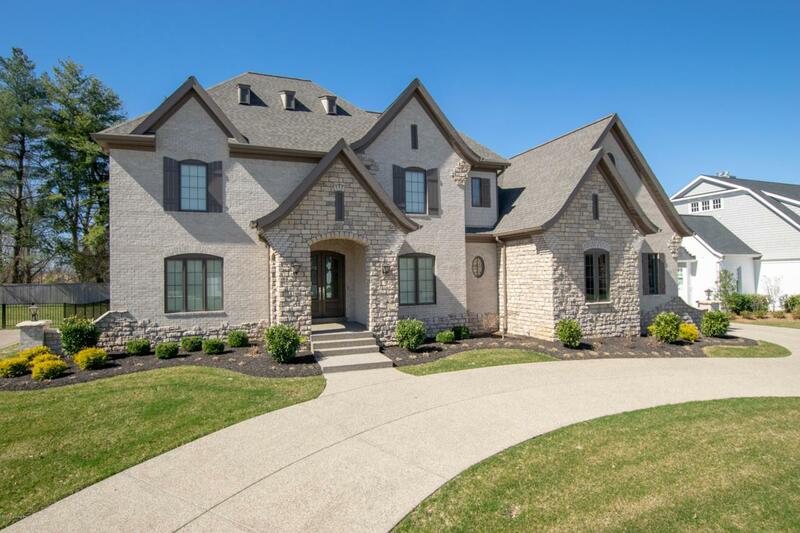 Newly built, the stone and brick two-story features an incredible architectural design that utilizes soaring ceilings, crisp white palettes and interior spaces that blend seamlessly into the next to create a truly artful home. Beginning with a two-story foyer with French door entry, the welcoming open floor plan of the home invites guests into the formal dining room with tray ceiling, elegant wainscoting and elaborate butler's pantry with beverage cooler. 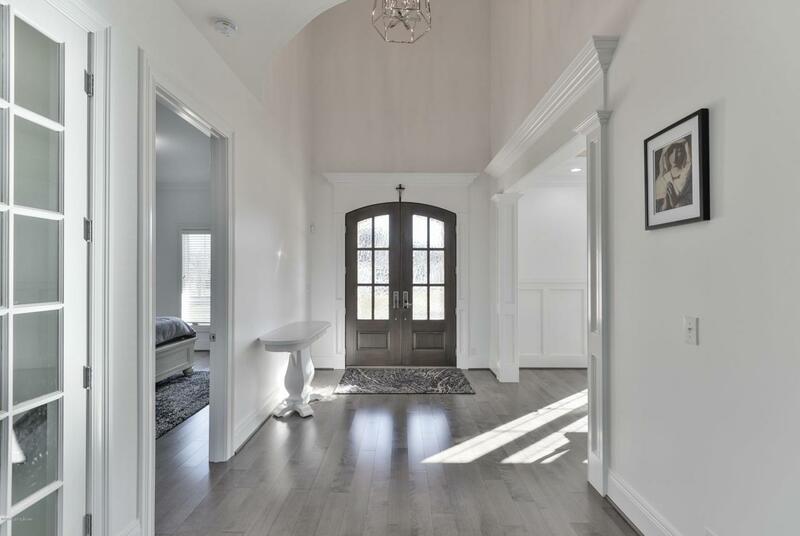 The first floor opens into the gorgeous great room, featuring 14' coffered ceilings, exceptional trim detail and French dooraccess to the home's columned covered porch. From the great room, the home folds into the gourmet eat-in kitchen with one-of-a-kind black and white marbled granite countertops, stainless steel appliances, floor-to-ceiling cabinetry, herringbone backsplash, walk-in pantry and oversized breakfast bar. The first floor is complete with a spacious bedroom suite with en-suite bath, mud room and powder room. The second floor master suite features a large bedroom with vaulted tray ceiling, walk-in closet and designer master bath with soaking tub, dual vanities and luxurious oversize shower. The second floor offers two additional bedroom suites, each featuring walk-in closets and designer en-suite baths, along with a convenient second-floor laundry room. The lower level features a spacious exercise room, large bonus room perfect for a home theatre, and plenty of room for additional storage.